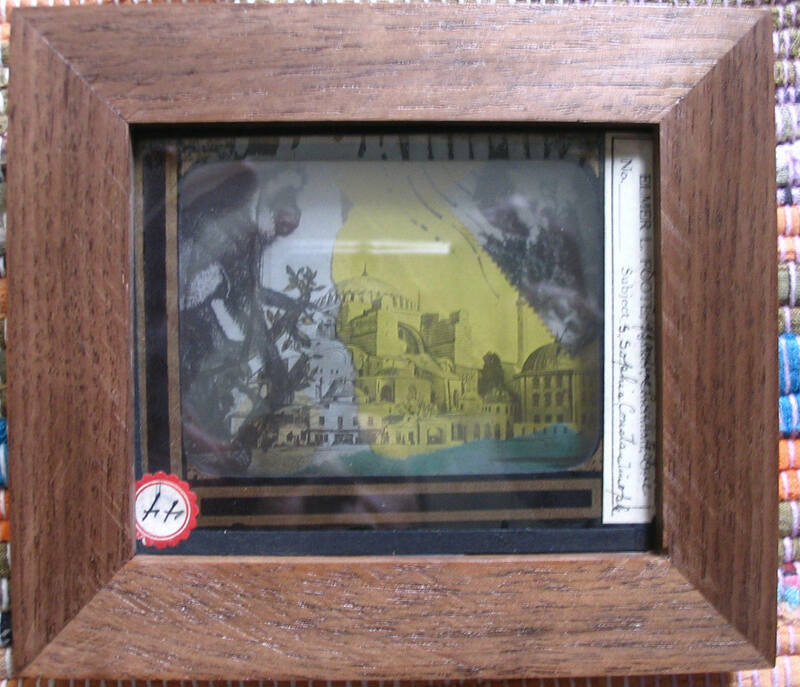 I use a lot of Magic Lantern slides in my pieces. I try to lay them over images that belong with them. Usually I place a secret object or objects sealed inside known only to me. I've been contacted a few times by people that have purchased a piece asking me to divulge the "contents". Never told a soul.